Wills & estates is an area that is more complicated than ever before. Making an effective will can save your family stress, heartache and money in what will be a difficult time for them. Estate disputes can also be highly emotional and complex. Our team of expert wills and estates solicitors can help you put in place the right estate plan or navigate through any estate dispute and help you achieve the best outcome. The world of conveyancing is something we will all be exposed to one time or another. Whether you are buying or selling, you will need an experienced person to help you move through a fast-paced, perplexing and intricate process. Our conveyancing team is experienced in all stages of property transactions – buying or selling a home, unit, land, community title, commercial and rural. Getting older can be hard; so is planning for and transitioning into retirement or alternative accommodation arrangements. Among all the positives, the “what-ifs” also need to be planned for, including losing capacity to deal with your affairs or trying to manage family disputes that were never meant to happen. Talk to one of our experienced solicitors today to find out how we can help protect you. Separation can be a very traumatic life event which is why you should have someone on your side who can handle the most difficult of situations. 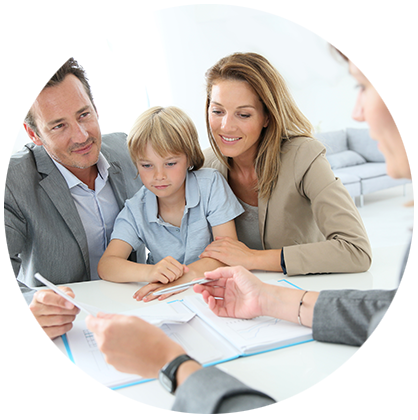 Our team can help you with all types of separations, parenting and property agreements. Whether it is an amicable separation or there are difficulties in reaching agreement, our expert family law solicitors can help you find the best resolution for you and your family. There are many law firms filled with solicitors who can competently deal with your legal issues and give you adequate legal advice. But sometimes you need more than just competent and adequate. Here at Swift Legal we like to do things differently. We understand that you might be unable or unwilling to go to a legal office so we come to you, and if you’re within our catchment area we won’t charge you any extra for it!. We don’t charge per hour; we charge per service. We know you’re just as busy as we are, so extended consultation hours are always available. Where possible we use electronic conveyancing meaning you no longer have to wait for bank cheques to clear after settlement. We promise to explain everything in terms you will understand. We’ll meet you wherever is convenient including at home, in hospital and at your workplace. Get in touch with us via Skype and Live Meeting. We offer mobile legal solutions from multiple branches including Logan & Scenic Rim, Ipswich & Brisbane Valley, Fraser Coast, Bundaberg and Gold Coast. Get the service and expertise you expect, in the comfort of your own home. Tell us about your legal issue – we can help!